Dorkly’s Tristan Cooper reported on the Spider-Man 2 nod via his personal Twitter account. 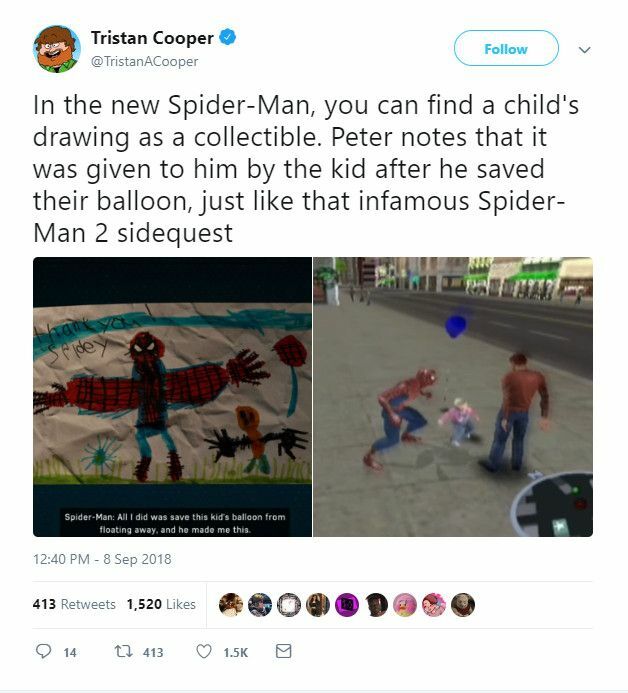 In a Tweet, which can be viewed below, Cooper noted that one of the collectible items you can pick up in Spider-Man PS4 is a drawing of Spider-Man that a young boy drew for him, after Spidey retrieved the boy’s balloon. To Cooper, this seemed to be a clear nod to a recurring side-quest from the Spider-Man 2 game, where Spider-Man might encounter a child who just lost their balloon while out on patrol, and would have to race to retrieve it before the wind took it out of reach. Originally released in 2004 for the XBox and Playstation 2, the Spider-Man 2 video game was loosely based on the plot of the Spider-Man 2 movie, and featured voice acting by Tobey Maguire, Kirsten Dunst and Alfred Molina as they reprised their roles as Peter Parker/Spider-Man, Mary Jane Watson and Dr. Otto Octavius/Doctor Octopus. What set the game apart from other superhero movie adaptations, however, was the development of a story beyond the plot of the movie, and the introduction of other characters from the Spider-Man comics, including Black Cat, The Shocker and Mysterio. That alone might have been enough to win over comics fans, but it was the world of the game – based around an incredibly accurate digital model of Manhattan – and the intuitive gameplay that made it a hit with serious gamers as well. A player could spend hours just swinging around the game world, stopping random robberies and purse-snatchings. They could also transport injured people to the hospital when traffic-jams were blocking the ambulances from getting to them, and recover the lost balloons of crying children. 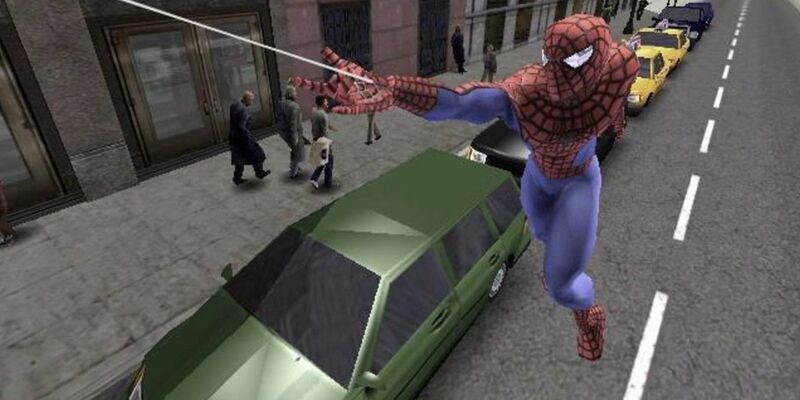 To this day Spider-Man 2 is considered by many to be one of the best video games of all time, and certainly one of the best Spider-Man games ever made. The early previews of Spider-Man PS4 suggested that it would be following in Spider-Man 2‘s wall-crawling steps, offering fans a chance to “do whatever a Spider can” while exploring the city as their Spider-Sense alerted them of people in need. By most accounts, they’ve succeeded admirably, presenting the same basic idea with enhanced graphics, gameplay mechanics, and collectibles. FIFA 19 Review | Trendsmedia.